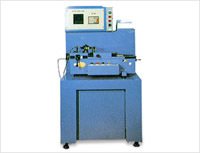 GTR-4 is a double flank gear rolling tester for fine pitch gear or small gear used for the wide range of instrument such as measuring equipment, clock, camera, computer peripheral equipment, copying machine and audio device all over the world. GTR-30 and GTR-40 measure total composite error and tooth-to-tooth error deviation. 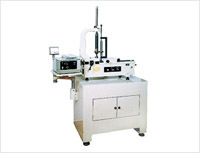 To meet any kinds of user's request,. 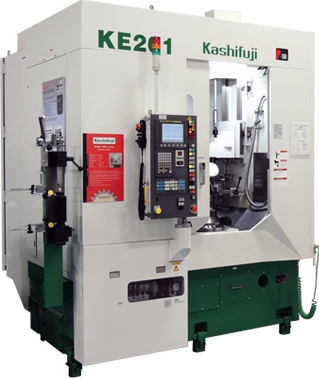 master gear, gear with shaft measuring equipment and bevel gear are provided. 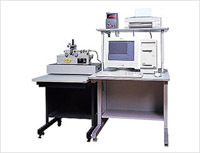 Connecting PC with a double flank gear rolling tester, GTR-4, GTRT-30 and GTR-40, GTR-PC can output the calculating results of composite errors and runout in both analog and digital and judge the grade of JGMA or AGMA.